The Turbo A.C.’s are dangerous at any speed. The last time I witnessed the group unleash their New York punk sound on Pensacola, I ended up in a wreck minutes after popping their CD “Automatic” into my deck after leaving a Thursday night show at Room Ten26 nearly 10 years ago. Fresh and gritty from their set as openers for Kansas City, Missouri rockers The Architects show in Pensacola, the crew of Swim With Sharks were the first to hit The Handlebar stage. The group helmed by music veterans Leer Baker (vocals/guitar), Aaron Taylor (guitar/vocals), Nicolas Pauwles (bass), and Dave Myers (drums) are hitting the road with upcoming shows in Mobile, AL, Austin, TX, and Oklahoma City. Showing their respect and admiration for the men in The Arkhams, The Turbo A.C.’s went on second, giving the final knockout curtain slot to their touring buddies. Many years have passed since I saw the Turbo A.C.’s perform. 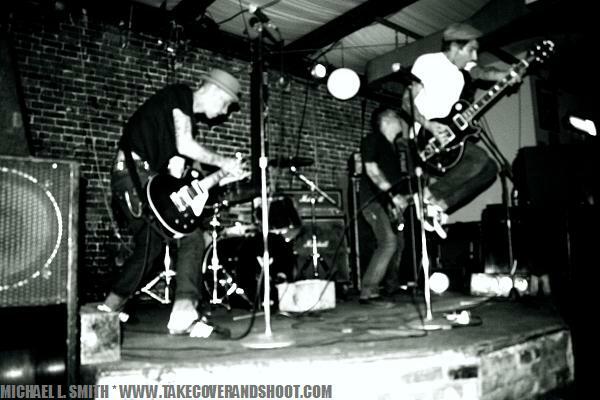 In fact, the last time I saw them play, they were a trio playing the Pensacola venue Room Ten26. Owner Jason Holstein (former Woodenhorse and current 60 Cycles of Sound bassist) had just completed the stage area of the venue that featured a bar, lounge and a very popular photo booth that played host to a slew of touring and local bands. Cockfight opened for the Turbo A.C.’s who were just about to embark on a tour of Europe in a few months. After opening the “Automatic” CD that featured a young, leopard print clad lady behind a steering wheel, I proceeded to drive home with the opening track “Mafioso” tuned up. That’s when all hell broke loose. Fast forward nearly a decade with years that included label changes and the departure of bassist Michael Dolan in 2005. 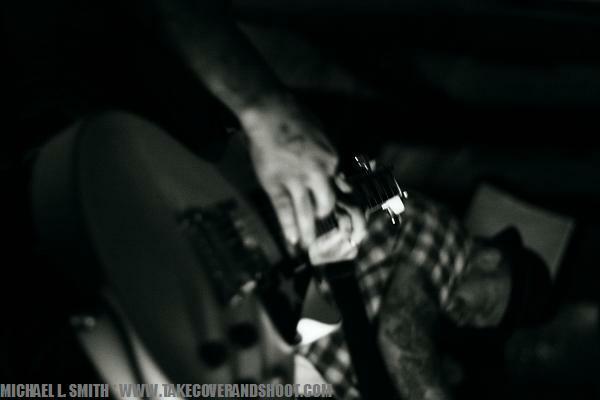 Facing adversity that would crush most bands, Kevin Cole (vocals, guitar) stayed strong and rebuilt the group. Originally formed in 1996, The Turbo A.C.’s marched on with Tim Lozada taking on bass duties while Jer VonDuck and his guitar were added to round out their Punk N’ Surf sound. During their set VonDuck thanked Swim With Sharks’ Baker for his hand in getting the musician involved with the Turbo A.C.’s. 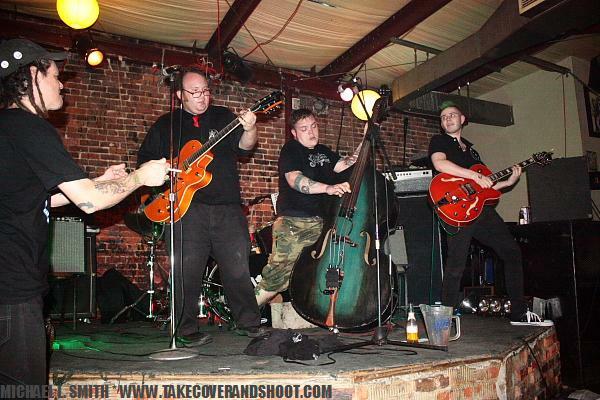 Marking the last night of their road adventure with The Turbo A.C.’s, the psychobilly group from Queens, New York closed out the night. Led by Matt Goldpaugh (vocals/upright bass), Mad Arkham (guitar/vocals), Seanzi Dirtbag (drums), and Johnny Beernuts (guitar), The Arkhams playfully mixed humor into their set of rockabilly goodness; offering their “sweatlist” to anyone willing to accept the gift.